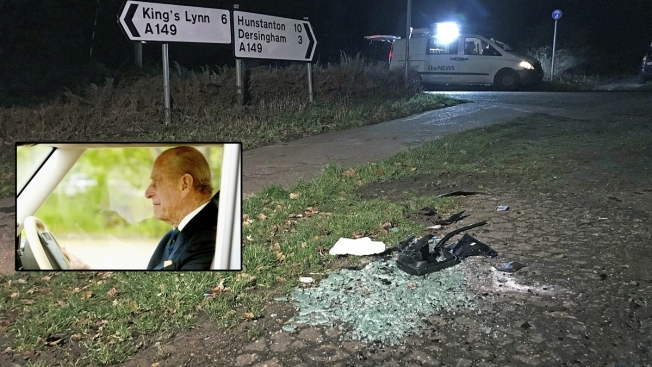 This Jan. 17, 2019, file photo shows the scene near the Sandringham Estate in England where Britain's Prince Philip, seen inset driving in 2004, was involved in a car crash. 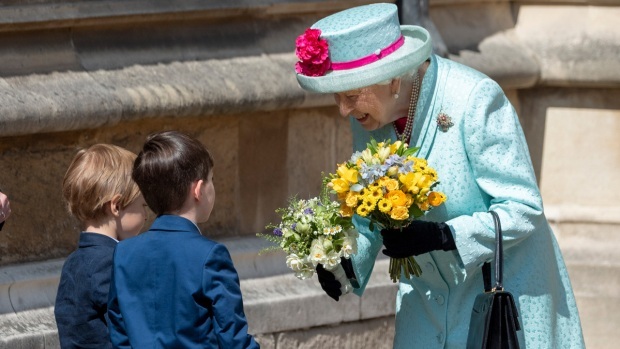 Philip was behind the wheel of a Land Rover when he smashed into another car on Jan. 17 near the royal family's Sandringham estate in eastern England. Philip had to be helped out of his overturned vehicle but wasn't injured. Two women in the other car were injured, though not seriously, and a 9-month-old baby boy was unhurt. Emma Fairweather, who suffered a broken wrist in the Jan. 17 accident, told the Sunday Mirror newspaper that giving up his license is "the right thing to do. Undoubtedly the roads will be safer now."